Sandsbury’s great granddaughter, Frances Eckhardt, remembers her grandmother, Miriam (Sandsbury) Brady Frye telling her that her father “sailed around the horn twice.” Sandsbury’s first whaling voyage to the Pacific was aboard the bark “Sea Queen” of Westport, sailing out of New Bedford 1851-1855 where he was listed as Boatsteerer (also known as a harpooner), a position that granted 1/65 of the voyages proceeds; Sandsbury’s next voyage was in July 1855 aboard the ship “Nautilas” of New Bedford, for the Pacific where he served as 2nd mate; he then served a short stint as mate on the Nantucket New South Shoal Lightship 1867-1869; Sandsbury’s last whaling voyage was on the bark “Spartan” also out of New Bedford 1869-1872 bound for the Pacific. After his time aboard the “Spartan”, Sandsbury rejoined the crew aboard the South Shoal Lightship 1872-1892. 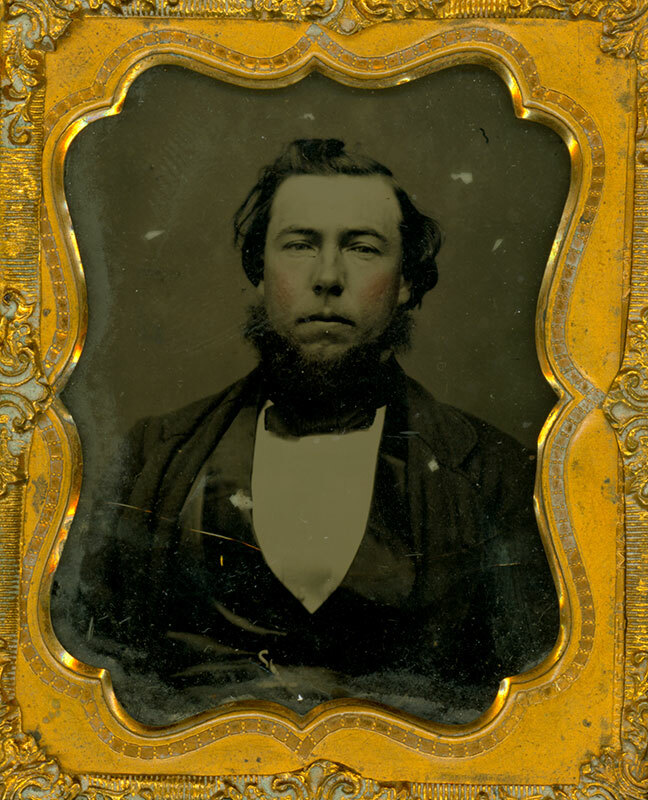 He served the first 9 years as mate to Captain Thomas S. James (1811-1885) another highly respected mariner and lightship basket maker. 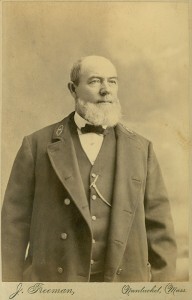 Sandsbury succeeded James as captain of the South Shoal Lightship, and remained in that position for 12 years. Many believe the location of that particular lightship was the most isolated and exposed of all of the lightships in the world due to heavy sea traffic by vessels engaged in trans-Atlantic and Atlantic seaboard trades; often lightships in this area were run down by steamers in a dense fog. Also the conditions on that shoal were treacherous; there are at least 25 recorded incidents where the lightship blew off her post. In fact, on October 28th 1878 the lightship and her crew were blown 800 miles to Bermuda, withstanding any damage, the ships small sails were raised and she made the trip slowly back to Nantucket. When seas were calm Sandsbury wove lightship baskets. He was in those days and today a very well respected basket maker. He served aboard and most likely wove baskets along side Davis Hall a well know basket maker who has been accredited for making the first oval lightship basket. In March 1892 during a terrible Blizzard, the South Shoal Lightship was set adrift for weeks and stranded in Norman’s Land ( no mans land) off of Martha’s Vineyard. During that time the crew half starved to death. When the ship was found, it never returned to serve Nantucket again. Captain Sandsbury retired and took his crew with him. Sandsbury then became the Brandt Point Lighthouse keeper from May 1892 and retired March 1898. Sandsbury married Martha Chadwick May 20th 1855 and had one daughter, Miriam in 1869. He was the son of James Sandsbury and Anna Cleveland. *The Nantucket Lightship Basket Museum would like to thank Virginia Turner Sandsbury Friberg, the Great Great granddaughter of Andrew J Sandsbury, for supplying the Exhibit with much of the detailed information on his life and death, and loaning us her prized Sandsbury basket for the exhibit.